Drugs costs vary widely, even for Medicare recipients, and that could possibly cost seniors hundreds, even thousands of dollars. 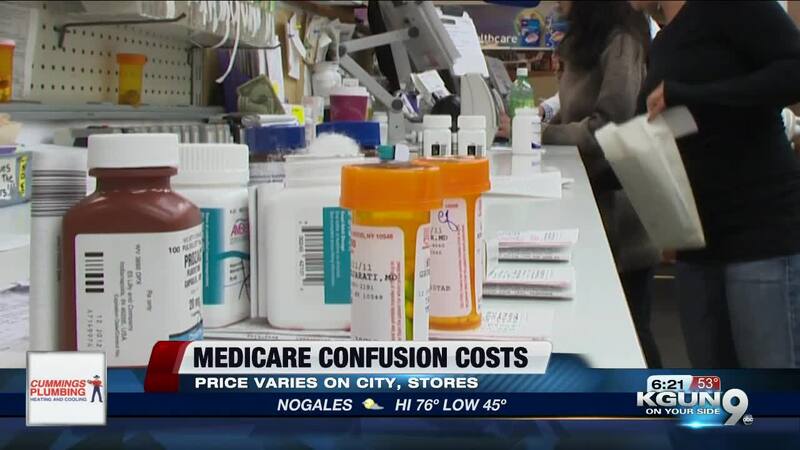 TUCSON, Ariz. - A Consumer Reports’ investigation looked at six cities, where it found a person there enrolled in a low-cost $100 deductible Medicare Part D plan would end up paying an annual cost of $1,592. But another plan in the area with a $415 deductible would have a total annual cost of just $574. CR found stark price differences in all six cities. "And worse, even small mistakes during the sign-up process could cost a consumer a tremendous amount of money," says Consumer Reports Investigative Reporter, Lisa Gill. “The medicare.gov plan finder tool is very difficult, not only to use, but also to compare plans against one another," says Gill. CR’s analysis also found that the price of drugs can differ dramatically among drugstores. In Denver, the total cost of five generic drugs at Walgreens was $1,687 through a Silver Script plan. About four miles away, at independent Cherry Creek Pharmacy, the same five drugs with the same plan would cost $688 - almost $1,000 less! If you want to save hundreds of dollars each year, Consumer Reports says choosing the right Medicare Part D Drug Plan can help. You can find some tips and helpful questions by clicking here.